SINGAPORE - A scheduled annual bilateral meeting between Singapore and Malaysia has been postponed following the intrusion by Johor Menteri Besar into Singapore territorial waters off Tuas, said Singapore's Ministry of Foreign Affairs (MFA) on Saturday (Jan 12). The intrusion into Singapore's waters off Tuas by Datuk Osman Sapian on Wednesday has made the 14th meeting of the Joint Ministerial Committee for Iskandar Malaysia (JMCIM) scheduled for Jan 14 "untenable", said an MFA spokesman in response to media queries. "Singapore therefore proposed to postpone the JMCIM meeting, and Malaysia agreed," the spokesman added. Malaysian newspaper The Star on Saturday cited sources as saying Malaysia's participation in JMCIM, which is supposed to be held next Monday in Singapore, is now in limbo and the meeting could be postponed. The Malaysian delegation at this year's meeting was supposed to have been led by Economic Affairs Minister Azmin Ali, Johor Mentri Besar Osman Sapian and other Johor state leaders. 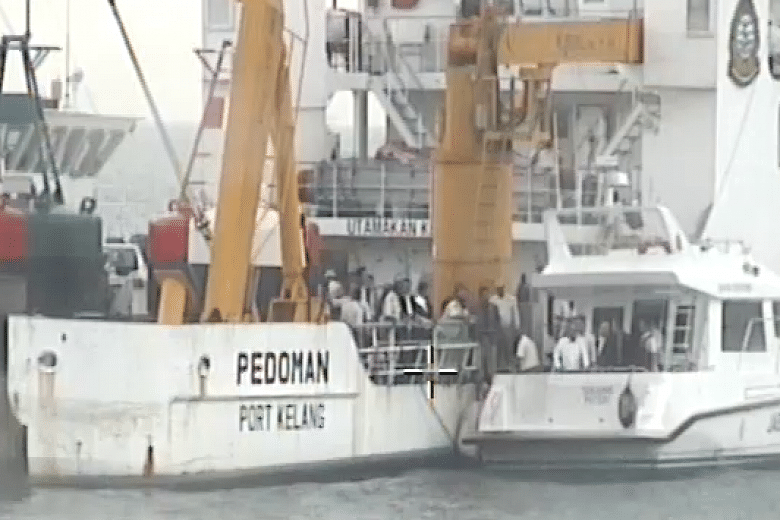 According to an official source who could not be named due to the sensitivity of the matter, Mr Osman's presence on the vessel was not sanctioned by the federal government. "He was told not to do it, yet he went ahead anyway," the source said. The two neighbours have been embroiled in a dispute over maritime boundaries. Mr Osman on Wednesday night took to social media to share photos of him visiting a Malaysian government vessel anchored in Singapore's territorial waters off Tuas. 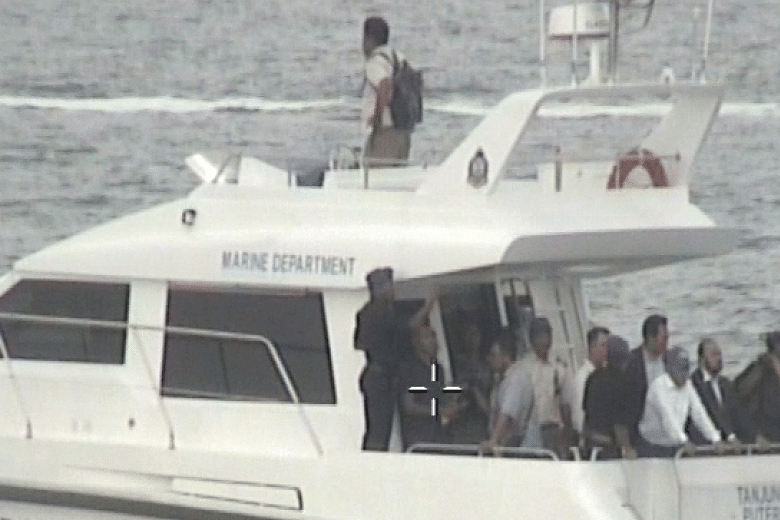 Responding to media queries on Thursday, the Maritime and Port Authority of Singapore (MPA) said there were five Malaysian government vessels in Singapore's waters as of 6pm on Wednesday. The MPA also confirmed that two vessels remained in Singapore waters as of 6pm on Thursday. Mr Osman has denied that he was in Singapore waters, saying in a Facebook post on Friday that he was visiting officers on duty to safeguard the boundary, and that the allegations were an attempt at obfuscation.